The Philippines has caught the eye of foreign investors this year given its positive economic performance. While investor interest is likely to be sustained next year amid favorable economic prospects, the government and private sector will have to work harder and capitalize on the attention the country is getting by bringing more companies to do business here. Trade undersecretary Cristino Panlilio said in an interview the number of in-bound missions received by the country this year compared to the previous year shows that the Philippines is becoming an attractive location for business. He noted that as of October, the country has already received 25 in-bound missions, more than the 18 seen in 2011. An in-bound mission involves the visit of five or more companies or businessmen at the same time to look at opportunities. Business missions received recently by the country were from Turkey, Italy, United Kingdom and India. “The Philippines is truly on the radar of the world and it is becoming an investment destination of choice,” Panlilio said. He said the country has become a more attractive location for business and an investment destination of choice as it has survived challenges to growth. He noted that despite the global economic slowdown, the country has continued to post strong economic growth. The economy grew by 7.1 percent in the third quarter. For the January to September period, the economy posted a growth of 6.5 percent. This has been possible as remittances from overseas Filipino workers, and exports have continued to rise. The country has also seen unprecedented growth in the stock market, a stable financial sector, efficient revenue collection effort as well as improving competitiveness ranking. With the country’s strong economic growth seen to persist until next year, Panlilio said the government would continue to strengthen its efforts for trade and investment promotions overseas. He said the government would try to beat this year’s expected 32 in-bound missions next year. He said the country could see more in-bound missions next year as the government would continue to work with the private sector in bringing more foreign companies to take a look at business opportunities here. “We are so focused on it. All our trade attaches are together with the PCCI (Philippine Chamber of Commerce and Industry) and the other associations. We’re all together in bringing in-bound missions because there is nothing like foreign businessmen, investors seeing the Philippines up close and personal,” he said. He noted that even as the Philippines has become an attractive destination for business, some investors, such as those in Europe, still do not know much about the country. “Right now, the Philippines, is not in their mindset. The idea now is initially to put the Philippines in their mindset, then things will come up after,” he said. “So my whole team, trade and investments promotions group, we are focused in putting the Philippines in the mindset of the business sector,” he said further. 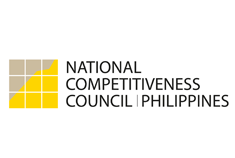 For his part, PCCI president Miguel Varela said that while the business group has already hosted trade missions and business delegations this year, it would continue to work with the government next year in bringing in more foreign companies to promote investments growth. “This coming year, we are hoping to maintain what we had this year or up it more. The interest of other countries is there that want to look at opportunities in Asia,” he said. Varela added that as early as now, they have received communication from overseas for business missions eyed for next year. “In January, we will be receiving three business missions,” he said, but declined to specify from which countries. “We have seen interest in the Philippines and Asia and we would like to maximize this,” he said further. He said there have also been invitations for Philippine firms to visit countries in the Middle East to see business opportunities there.